The latest entry into the renowned Abu Garcia C4 series, the Abu Garcia C4-6600 Ambassadeur Round Baitcast Fishing Reel delivers silky-smooth operation and power to spare. This baitcast reel's Carbon Matrix drag system offers smooth and consistent drag across the entire drag range, giving you the precision and power you need to subdue the most tenacious gamefish. It is also engineered for precise casting and line lay. Its six-pin centrifugal brake applies consistent pressure throughout the cast for superior control, while its synchronized level wind system ensures an even line lay and an effortless retrieve. 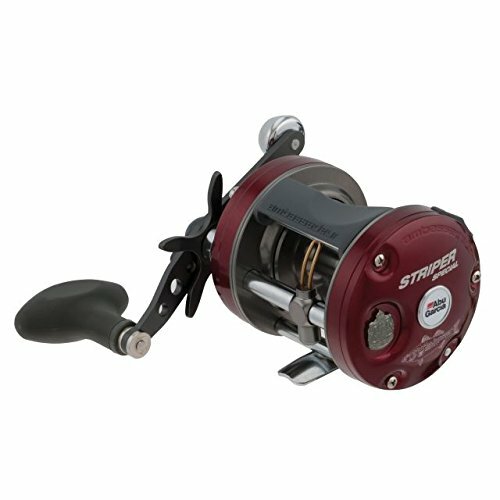 The compact bent handle and star wheel offer a fluid, comfortable feel that helps minimize fatigue, making this reel ideal for all-day fishing excursions. And with its Duragear 2 system, this casting reel provides enough gear strength and durability to handle the toughest fishing situations. Combining smooth drag with a durable, finely crafted design, the Abu Garcia C3-5500 Ambassadeur Baitcast Fishing Reel is an ideal choice for devoted anglers. This fishing reel's Carbon Matrix drag system offers smooth and consistent drag across the entire drag range, giving you the precision and power you need to subdue the most tenacious gamefish. It is also engineered for precise casting and line lay. 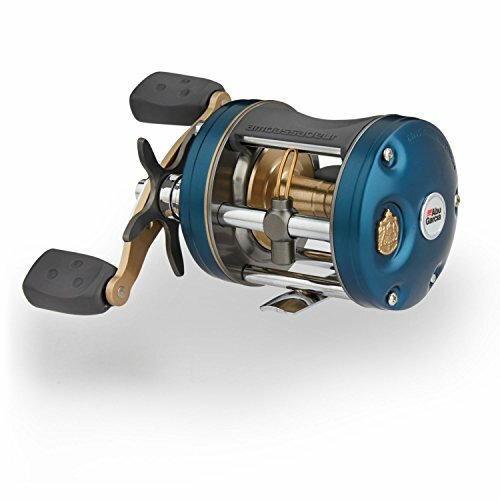 The reel's six-pin centrifugal brake applies consistent pressure throughout the cast for superior control, while its synchronized level wind system ensures an even line lay and an effortless retrieve. 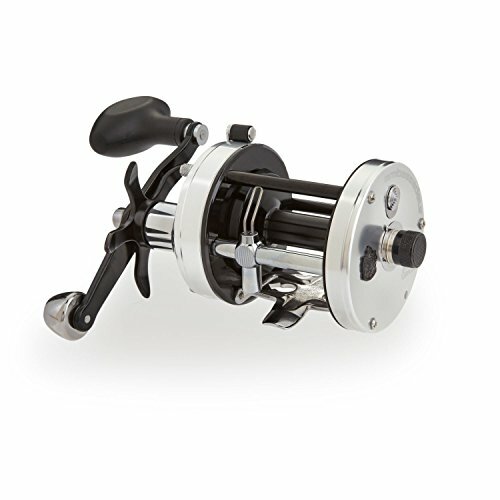 And thanks to its extended bent cranking handle and power knob, this baitcasting reel offers the powerful, even reeling action and leverage that hard-fighting fish demand. 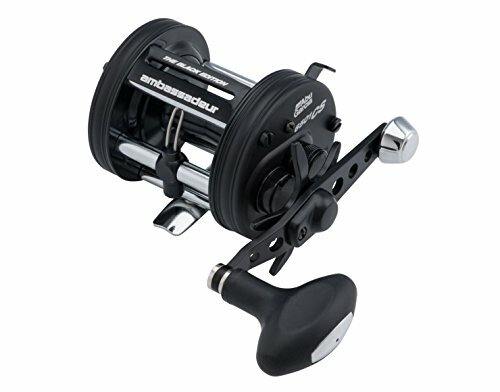 Born from the C3 round reel platform, the Ambassadeur catfish special fishing reel offers anglers a unique package backed with proven components designed specifically for catfish fishing. Performance starts with a 3 stainless steel ball bearings + 1 roller bearing system and a smooth and consistent carbon Matrix drag system. The ambassadeur S round baitcast reel gets the job done day after day with 2 stainless steel ball bearings that provide smooth operation. 12.5 pounds of drag pressure and a 4 pin centrifugal brake deliver power and controlled casting for a variety of situations. The addition of a bent handle and drag star translates into a more ergonomic feel for all-day comfort. Featuring exceptional castability and smooth drag, the Abu Garcia C3-7000 Ambassadeur Baitcast Fishing Reel is precisely engineered to overpower the hardest-pulling fish. This fishing reel's Carbon Matrix drag system offers smooth and consistent drag across the entire drag range, giving you the precision and power you need to subdue the most tenacious gamefish. It is also engineered for precise casting and line lay. 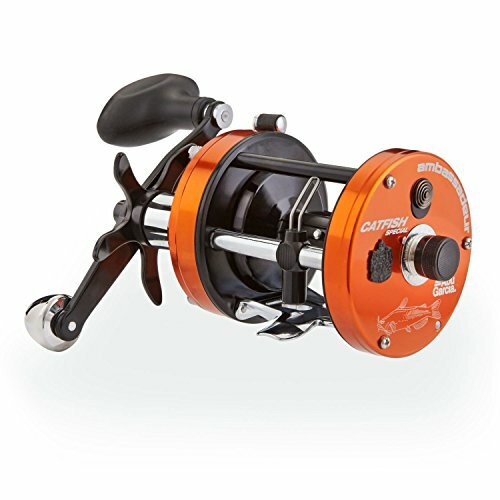 The reel's six-pin centrifugal brake applies consistent pressure throughout the cast for superior control, while its synchronized level wind system ensures an even line lay and an effortless retrieve. Equipped with a Duragear brass gear, the C3-7000 Ambassadeur features durable construction. 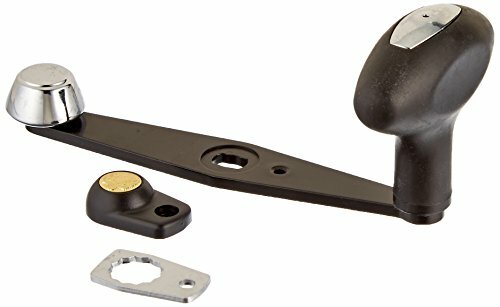 The corrosion-resistant instant anti-reverse bearing keeps handle backplay to a minimum, helping ensure silky-smooth cranking. 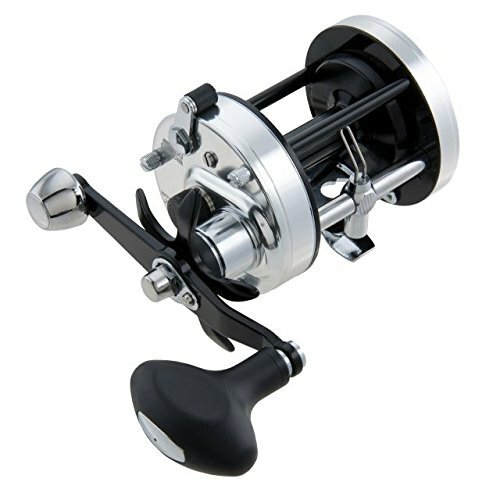 And thanks to its extended bent cranking handle and power knob, this baitcasting reel offers the powerful, even reeling action and leverage that hard-fighting fish demand. With its smooth drag and formidable power, the Abu Garcia 6600 Ambassadeur SX Round Baitcast Fishing Reel delivers the finesse and strength needed to subdue a variety of hard-pulling fish. 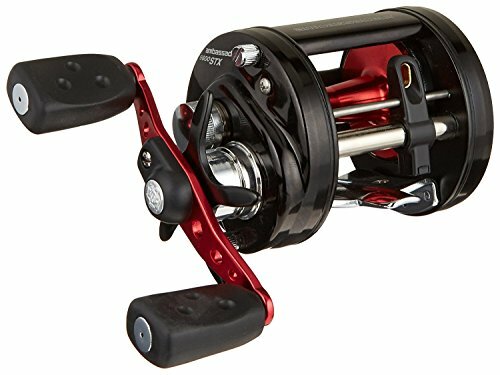 This casting reel helps you perform at the top of your game with its powerful multi-disc drag system, which delivers smooth yet forceful drag throughout the entire drag range. It is also engineered for precise casting and line lay. Its six-pin centrifugal brake applies consistent pressure throughout the cast for superior control, while its synchronized level wind system ensures an even line lay and an effortless retrieve. 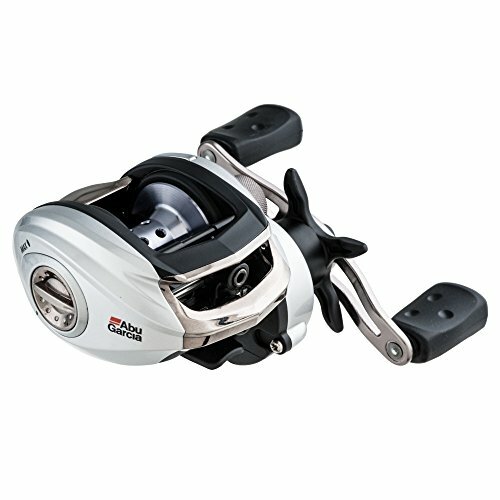 The compact bent handle and star wheel offer a fluid, comfortable feel that helps minimize fatigue, making this reel ideal for all-day fishing excursions. And thanks to its recessed reel foot, this baitcast reel sits low on the rod for easy palming and casting. Combining outstanding performance with a durable frame, the Abu Garcia C-7000 Ambassadeur Baitcast Fishing Reel delivers the precision and strength needed to tame hard-fighting fish. This baitcast fishing reel helps you perform at the top of your game with its powerful multi-disc drag system, which delivers smooth yet forceful drag throughout the entire drag range. The reel is also engineered for precise casting and line lay. Its six-pin centrifugal brake applies consistent pressure throughout the cast for superior control, while its synchronized level wind system ensures an even line lay and an effortless retrieve. Equipped with a Duragear brass gear, the C-7000 Ambassadeur features durable construction. The corrosion-resistant instant anti-reverse bearing keeps handle backplay to a minimum, helping ensure silky-smooth cranking. And thanks to its extended bent cranking handle and power knob, this baitcasting reel offers the powerful, even reeling action and leverage that hard-fighting fish demand. In 1921, by the river of Morrum in Svangsta, Sweden, Carl August Borgstrom founded AB Urfabriken. The company manufactured pocket watches, telephone timers and taxi meters. Borgstrom was a brilliant craftsman with a talent for light precision engineering; skills he had acquired during his years in the Halda watchmaking factory. Unfortunately, World War II caused a sharp decline in the demand for taxi meters. 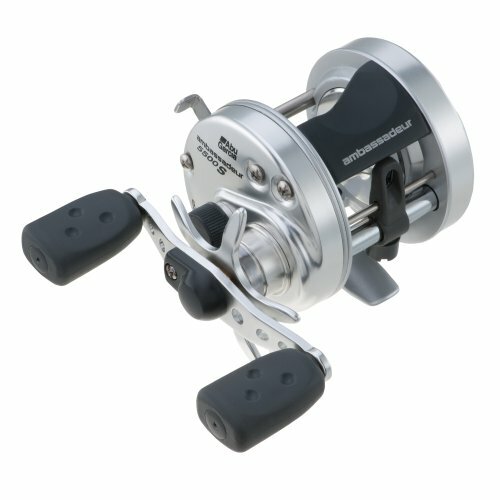 Undaunted, ABU redirected its skills toward the development of precision fishing reels used by anglers the world over. That's why Abu Garcia later received the honor of being chosen "Purveyor To The Royal Swedish Court," a distinction bestowed upon a select group of manufacturers for consistently exceeding its highest standards of quality and craftsmanship. Abu Garcia's influence on the sport fishing community is unmatched. The company remains firmly committed to maintaining its industry leadership position by providing anglers everywhere with the highest quality, most innovative products. 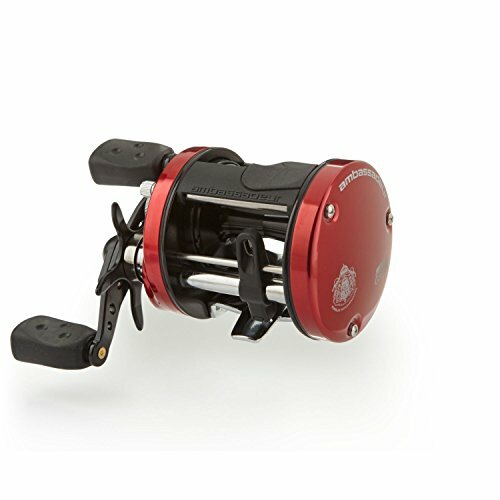 Gain an edge over tough gamefish with the Abu Garcia CS-7000 Ambassadeur Pro Rocket Baitcast Fishing Reel. 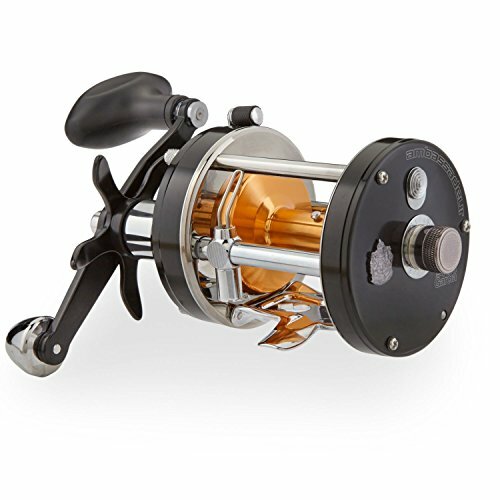 This powerful, rugged fishing reel is engineered to cast like a rocket: its six-pin centrifugal brake applies consistent pressure throughout the cast for pinpoint control, while its synchronized level wind system ensures an even line lay and an effortless retrieve. The reel's Carbon Matrix drag system offers smooth and consistent drag across the entire drag range, giving you the precision and power you need to subdue the most tenacious fish. Equipped with a Duragear brass gear, the CS-7000 Ambassadeur features durable construction. The corrosion-resistant instant anti-reverse bearing keeps handle backplay to a minimum for smooth cranking. 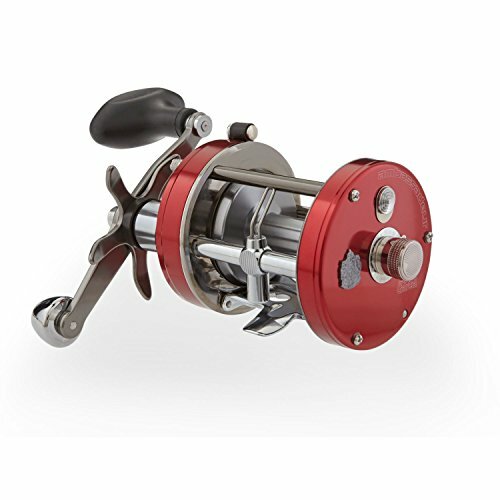 And thanks to its extended bent cranking handle and power knob, this baitcasting reel offers the powerful, even reeling action and leverage that hard-fighting fish demand. 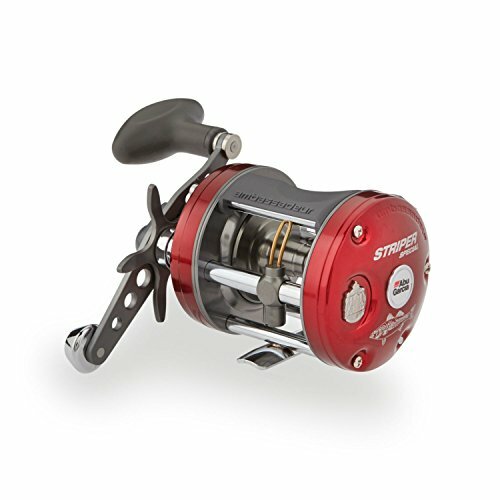 Specially designed for striper fishing, the Abu Garcia C3-6500STSPC Ambassadeur Striper Special Baitcast Fishing Reel delivers the finesse and power you need to land your catch. 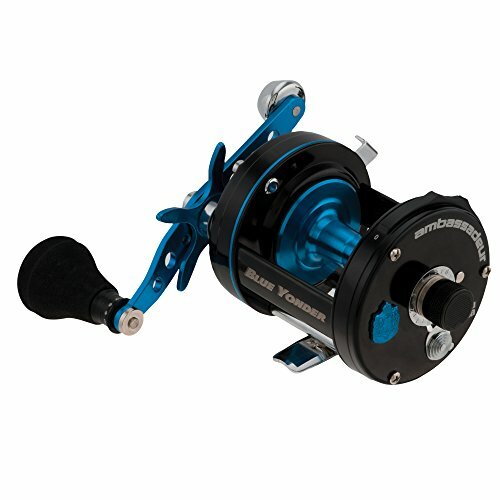 Built upon the Swedish round reel platform, this casting reel is constructed from proven components that endure the most punishing saltwater conditions. The Carbon Matrix drag system delivers smooth, low-friction drag performance that helps minimize line breakage. The reel is also engineered for high-precision casting. Its six-pin centrifugal brake exerts consistent brake pressure throughout the cast, while its synchronized level wind system helps ensure a flawless line lay. 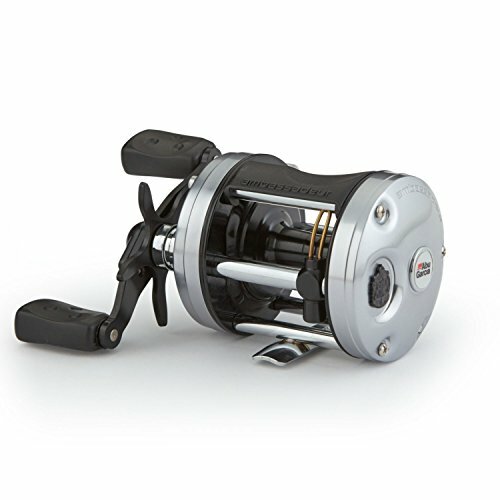 And thanks to its extended bent cranking handle, this baitcasting reel offers the powerful, even reeling action and leverage that striped bass and other hard-fighting fish demand. The Swedish made ambassadeur Beast delivers rock-solid construction and smooth performance. 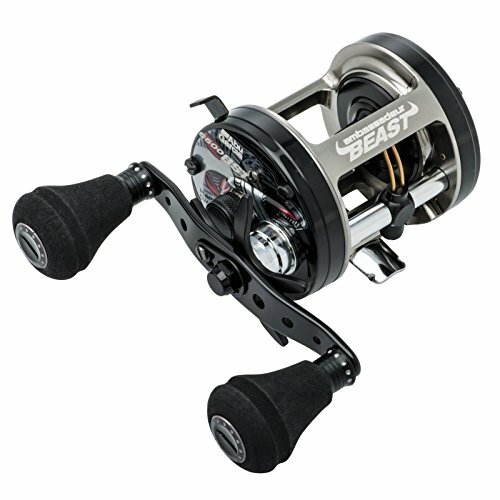 Designed for big Baits and hard pulling fish, the ambassadeur Beast utilizes a machined aluminum frame and side plate for strength. The legendary carbon Matrix drag system ensures consistent pressure across the entire drag range. The latest generation of the silver max Series incorporates updated styling with advanced ergonomics. Notable advancements include a new speed clutch mechanism that gives anglers the ability to engage/disengage the spool with one hand. This feature eliminates the need for anglers to turn the handle for engagement and is perfect for pitching, flipping or back trolling techniques. Big water anglers will appreciate the smooth action of the 2 stainless steel ball bearings + 1 roller bearing in the ambassadeur 7000 C3. This model also offers a corrosion resistant instant anti-reverse bearing for increased durability and solid hook setting power. 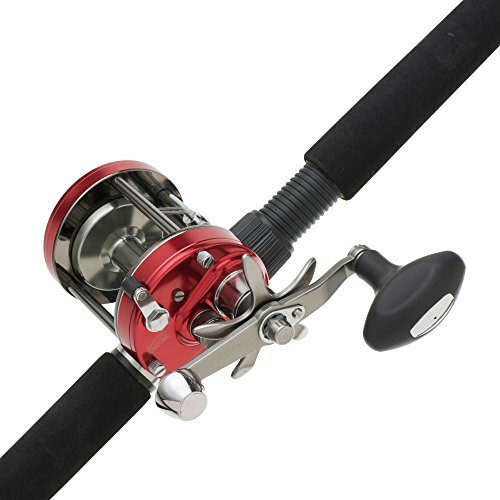 The updated extended bend handle with power knob give anglers an edge by increasing torque and aligning the cranking hand closer to the reel for more efficient fighting power. 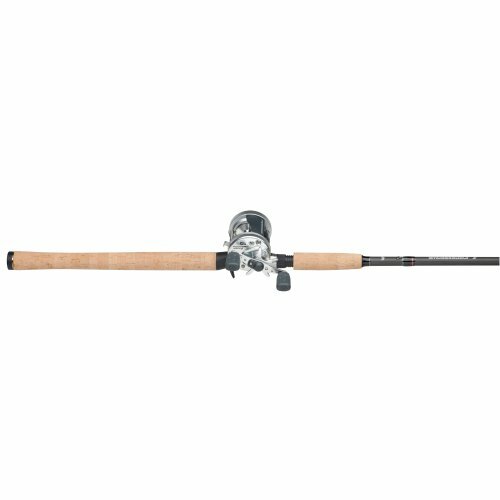 The ambassadeur 7000 C3 is equipped with a four pin centrifugal brake for controlled casts and the one-of-a-kind Carbon Matrix drag system that delivers smooth and consistent drag pressure across the entire drag range. A continued tradition of Swedish craftsmanship and design, Ambassadeur Black edition round baitcast reel is now available in additional sizes. Featuring a six pin centrifugal braking system and a robust aluminum construction, the international best seller delivers superior casting performance and rock-solid durability.